Blizzard appears to be run by a mindless robot at this point that bases its decisions off of nothing more than numbers. I just tested the patch to see what everyone was talking about, not really sure it seemed to run fine for me BUT alt-tabbing in fullscreen is messed up again, the window doesn't minimize to the taskbar like it should. 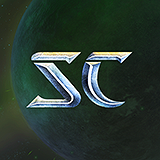 12/19/2017 05:00 PMPosted by ChuckStop proxying our starcraft connections pleaassee!Then open ports 6112-6119. If blizzard didn't proxy your connection you wouldn't be able to host at all, you should be thanking them. The Twitch christmas bash just got postponed because of this. Very nice. Couple questions,If a host has their ports opened correctly and hosts a custom game, and someone joins their game that does not have their ports opened, does the game still use a proxy?There was talk of a network diagnostic tool being released, is the "you are connecting through a proxy" message and the symbol in the custom games list what was being spoken of? Or is there an actual tool being released?Thanks for all your hard work guys.